Hey lovelies, today I have a review! Alright, so can we just talk about how amazing Elf (eyes lips face) Cosmetics is for a second? They are so affordable, cruelty free (many products are vegan friendly as well), and many things are incredible! I say many because I have tried some dud products from them, but I also have some forever holy grail items by their brand. One of my favorite things being their Studio Line brushes. I own quite a few from face to eye brushes…most of them are so amazing and are about $3-6 each. I’m not a “sigma” or “mac 217” kind of gal, I like my brushes to be great quality, yet affordable. Personally, I can spend $25 on way cooler things than a brush. However, brushes are important and nessecary in my collection, so I don’t like to skimp on quality. You all can probably imagine my excitement when Elf not only released their new ultimate kabuki brush, but also announced the release of 3 new studio brushes, including a contour brush! 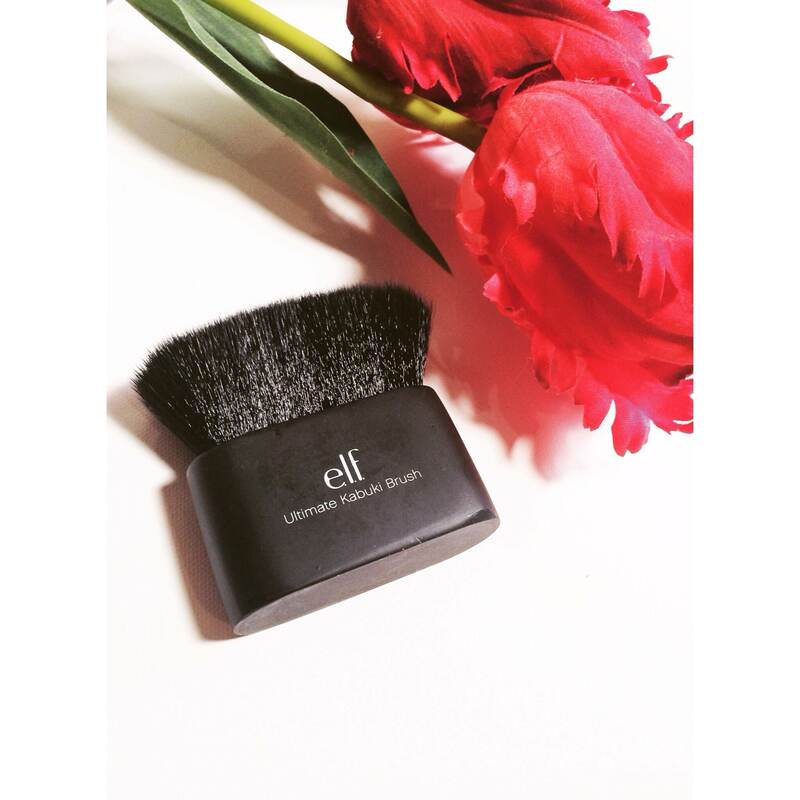 That’s right, a true contour brush at a wallet busting $6. And yes, I bought all 3 of the new brushes and the ultimate kabuki brush. Judge me if you wish, but I will admit that I’m still trying to build up my brush collection. I just started adding brushes to my routine possibly 2 years ago, and I started out with 2 no name drugstore brushes that I used for everything. The 3 new brushes that came out a few weeks ago include a contour brush, a brow duo brush, and a blending brush. My overview today is about all 3 of the new brushes and the ultimate kabuki brush, which I’ve had for a few months now. It should be noted that the studio line from elf is vegan friendly, but the essentials line is not as far as I know. Also, I am not sponsored by elf, and these are my honest opinions. I purchased these brushes myself with my money. Brow Duo Brush This handy little guy comes with an angled brush side and a small spoolie side to brush and shape brows. I really like this duo! The spoolie is small so it really gets into the brow hairs and brushes them out, and the small angled brush is soft, yet stiff enough to give a natural look to the brows while filling them in. If you have sparse brows like myself and need a bit of “help” creating what looks like hair, this does the job well. I’m still blown away that this only costs $3! Blending Brush If I’m completely honest for a second, this is probably my favorite brush in this post. I adore this brush. It’s so soft, and the angle in it allows for a precise contour if you want a light contour that day, or you can use it to blend out the contour you’ve already laid down. I’ve used it to blend cream and powder contours, blushes, liquid highlighters…this brush is awesome. Even if you read this post and decide you have enough brushes, you may need to add this one. I am head over heels in love with it. Contour Brush This brush surprised me. I was convinced I couldn’t like any contour brush more than my Crown Deluxe Contour brush, but this brush comes close to my love for it. This brush is soft, but not too soft. It will also give you an extreme contour, so beware because it does pick up a lot of product because the hairs are so close together and short. On days when I want a darker contour I reach for this brush, but I still find myself reaching for my Crown brush more often because I don’t like a stark contour except for date night when I know I’m going to be somewhere with a weird lighting. Ultimate Kabuki Brush I’m not gonna lie, I had no idea what the heck I was going to use this brush for at first when I got it. I’ve had to play around with it a bit, but it’s actually a pretty awesome brush and can be used multiple ways. This brush is really dense. I’ve used it to pat on blush, to apply highlight (use the flat sides), and to clean up my face if I’ve had fallout from shadows or anything. This can probably be used as a neat body bronzing brush as well, but I’m not about that bronzing life. For the ways it can be used compared to the price, I think this brush is fantastic! My thoughts on elf studio brushes in general are that they are amazing given the low price point. 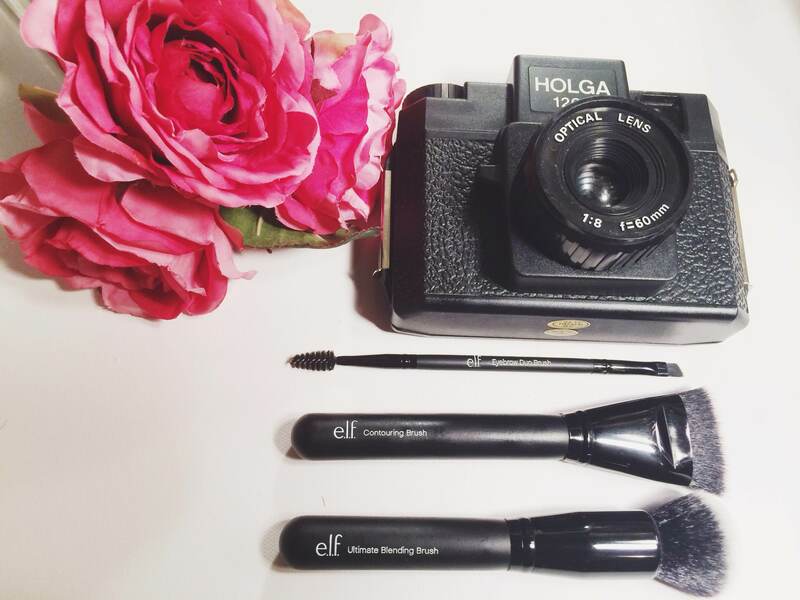 These are some to definetely consider adding to your cart if you’re placing an order with them anytime soon, or if you’re in the market for some new brushes and on a budget. I haven’t had any shedding problems with any of these brushes yet, but I’ve also only had them for a month or so.